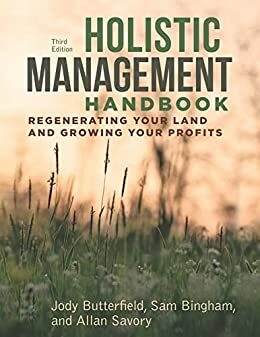 Holistic management is a systems-thinking approach developed by biologist Allan Savory to restore the world’s grassland soils and minimize the damaging effects of climate change and desertification on humans and the natural world. 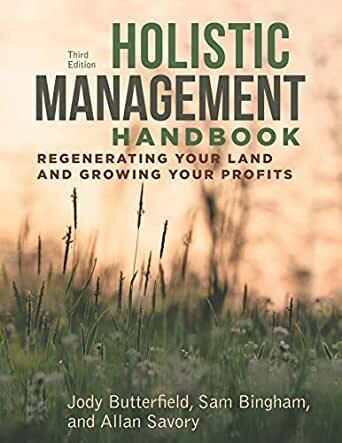 This third edition of Holistic Management Handbook: Regenerating Your Land and Growing Your Profits is the long-awaited companion volume to the classic text Holistic Management, Third Edition. 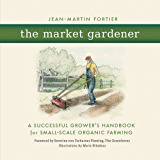 Crafted under the direction of Savory’s longtime collaborator Jody Butterfield, this handbook is the key to developing a comprehensive holistic land plan based on Savory’s principles that will help you to restore health to your land and ensure a stable, sustainable livelihood from its bounty. This new edition, thoroughly revised, updated, and streamlined, explains the planning procedures described in Holistic Management, and offers step-by-step instructions for running a ranch or farm using a holistic management approach. Butterfield and her coauthors describe how to use the handbook in conjunction with the textbook to tailor a management plan for your unique combination of land, livestock, and finances. Their mantra is “plan, monitor, control, and replan.” Using a four-part approach, the authors walk readers through basic concepts and techniques, help them put a plan onto paper, monitor the results, and adjust the details as needed. Appendixes provide updated worksheets, checklists, planning and monitoring forms, and detailed examples of typical scenarios a user might encounter. The handbook includes a comprehensive glossary of terms. Ranchers, farmers, pastoralists, social entrepreneurs, government agencies, and NGOs working to address global environmental degradation will find this comprehensive handbook an indispensable guide to putting the holistic management concept into action with tangible results they can take to the bank. Jody Butterfield is a former journalist specializing in agriculture and the environment. She is a cofounder of the Savory Institute. Sam Bingham, a Savory Network Accredited Educator, is the author of five books and numerous articles on the land and the people who make a living from it. Allan Savory is a former wildlife biologist and farmer who conceived of and developed Holistic Management. He is a cofounder and President of the Savory Institute.